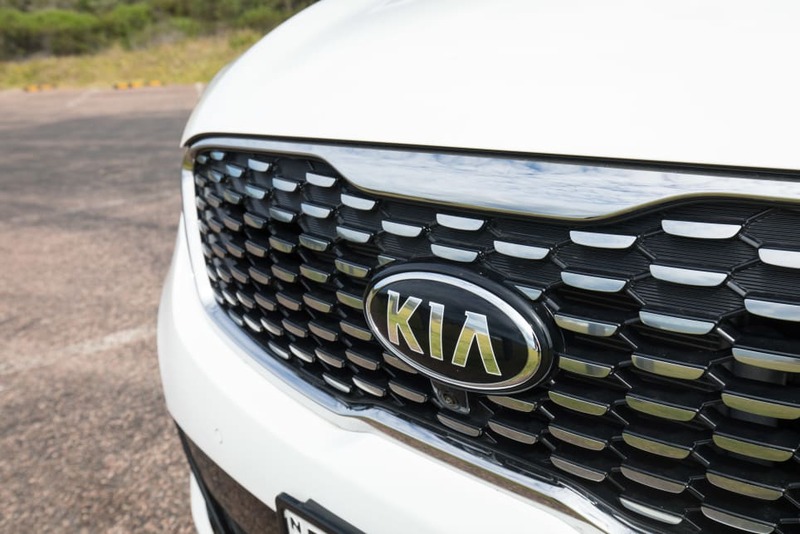 Does this Kia hit your seven-seat bullseye? It’s back to school this week which means pick-ups, drop-offs, play dates and the rest of the joyous driving which comes with being a parent. I got around town in a Kia Sorento GT line, which is top-of-the-range in a diesel. It’s a seven-seater and if you’re after those seven seats, you’d also be looking at a Nissan Pathfinder, Mazda CX-9 and a Toyota Kluger. Fortunately (or unfortunately, depending on how you look at it) those extra seats means you can take the children’s friends to various after-school activities (the joy never stops, does it?). My two daughters were over-excited that our car would be the official transport for the week. And it was super useful, even when we weren’t carrying other children around, just for the sheer space. It’s a smooth trip in the Kia Sorento. It handles really well, the steering is responsive, it took corners like a champ and as a result, I felt really confident and also safe while driving - something to note when you’ve got other people’s children in the car. It has a 2.2-litre 4 cylinder engine which had enough power to get me up hills easily; it just didn't fly up them. The GT-Line only comes in a diesel version, and I found the engine quite noisy. It sounds a bit like an old combi chugging away. Some people find this comforting, but I wasn’t one of them. Apart from that minor thing, the car runs really well and it’s a pleasure to drive. Even though it’s a big seven-seater it was still relatively easy to park, thanks to the 360 degree parking camera which showed front, back and the view from the top so you could actually tell how far away the car was from the wall or kerb. It made things so much easier than the usual guessing game we play with concrete. The back row is utterly comfortable, and I wasn’t expecting that. Granted, I’m little, at 161cm, but I sat in the back for a good half hour journey without a single complaint, so there’ll definitely be enough room for little kids or big kids, I had enough leg space to sit looking straight ahead - always a bonus when your knees aren’t pushed to the side. 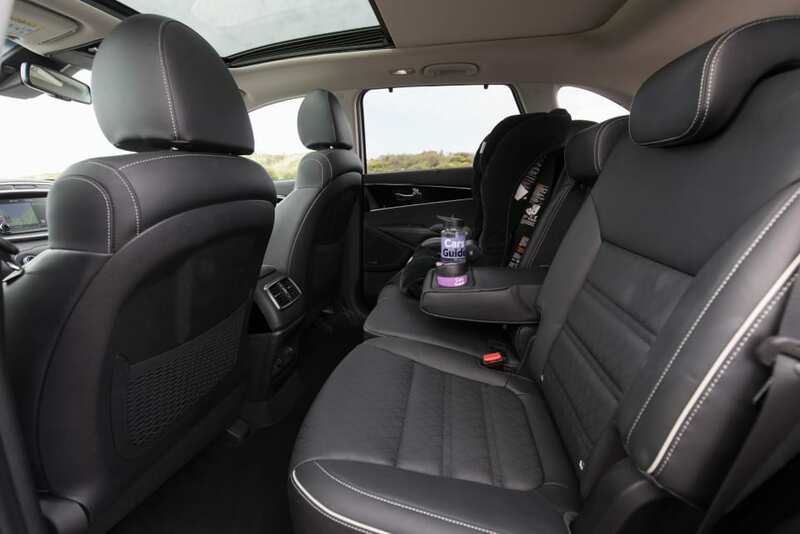 The second row has loads of room too, my two girls aged four and six had enough space to swing around into their child seats and I also find there’s less squabbling when they both have enough room. In the front there is the luxury of having your own airspace - in that you don’t feel like you’re breathing in the same air as your front passenger. The cabin is breezy and light and there is lots of leg and headroom. Boot space is fairly average with all seven seats in action. Put them up and you’ll get 142 litres (VDA) which is enough to pop school bags in and grocery bags on top if you need to. 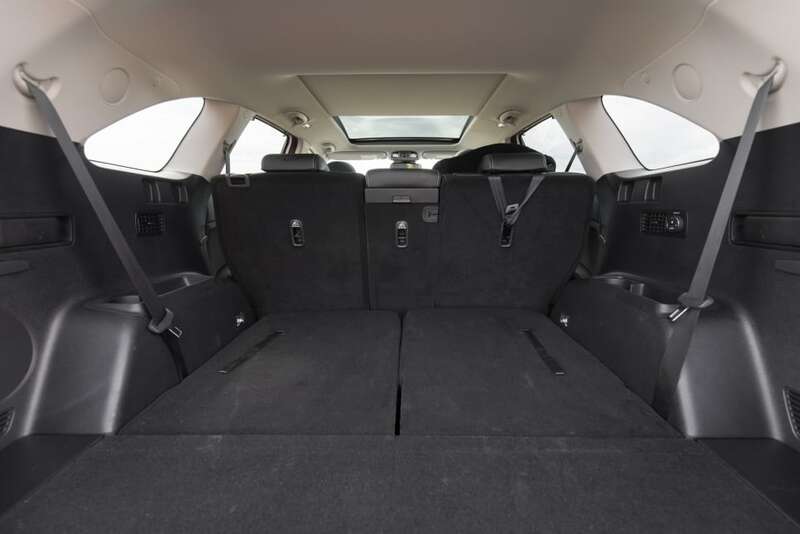 With five seats up, the boot expands to 605 litres - that’s bigger than a Kluger’s, but not as big as a CX-9’s, and falls well short of the huge Pathfinder boot. Still, it’s plenty big enough to transport everything you need for kids’ sports sessions, including cricket gear and golf clubs. How easy is it to use for everyday? Let’s just say that practical is the Sorento’s middle name. There’s a metal step that runs alongside the car, which helps little legs climb in and out. 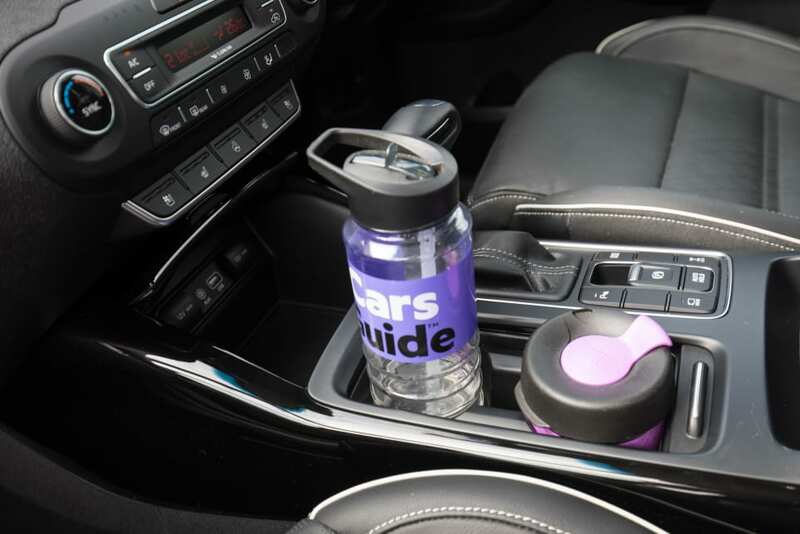 There are six cupholders in total - two in the front, two in the middle and two in the back, plus a bottle holder in each door. 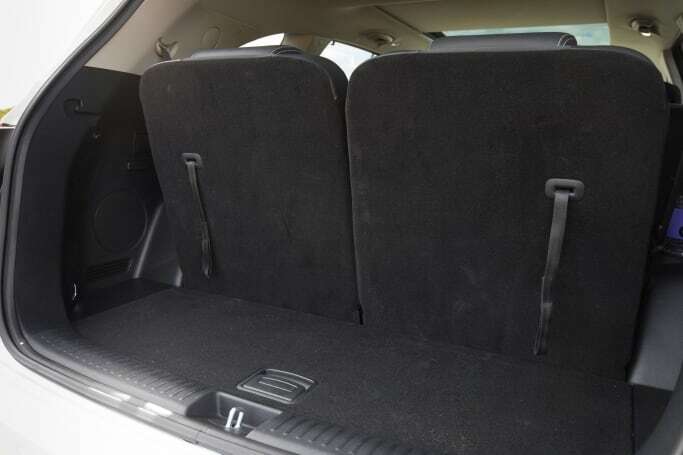 The back row also gets a small storage spot (for kids’ Beanie Boos, obviously), and the middle row gets pockets on the back of the front seats. The centre storage bin is sizeable and deep. Dual-zone climate control features with air vents in the second row, and the back row gets its own air vents and fan control. There are heated/cooling front seats and heated second row outer seats in this top of the range model, plus the steering wheel will heat up, too. The second row also gets sunshades to pop up if that Aussie sun is blasting through the windows. 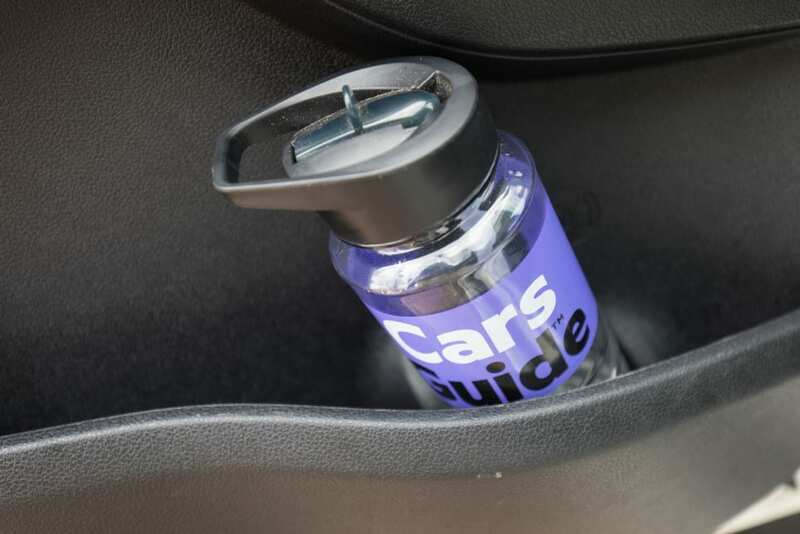 The boot opens and closes with a touch of a button on the key, one of my favourite features - if only this came standard on every single ‘parents’ car. Be careful though, I almost had the boot close on me when I accidentally hit the button while loading groceries. It doesn’t look as big on the outside, as it is inside, which is a bonus, but it’s still quite beefy. Like a stocky sports player, it has something to do with the big grille on the front and isn’t as sleek in profile as, for example, a Mazda CX-9, but is better looking than the boxy Kluger and the large Pathfinder. Inside it’s well designed. 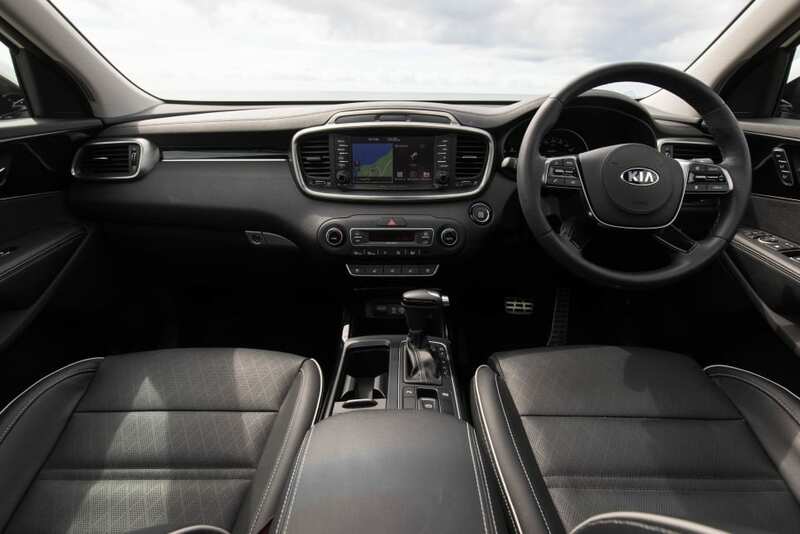 The interiors are good if you want all the trimmings like leather seats and a leather-look steering wheel, but don’t like it when cars are too shiny and flashy - the Kia Sorento is not shiny or flashy. A bubble-finish dash keeps things real. It doesn’t particularly feel like I’m in a luxury car, more like one where practicality comes first. 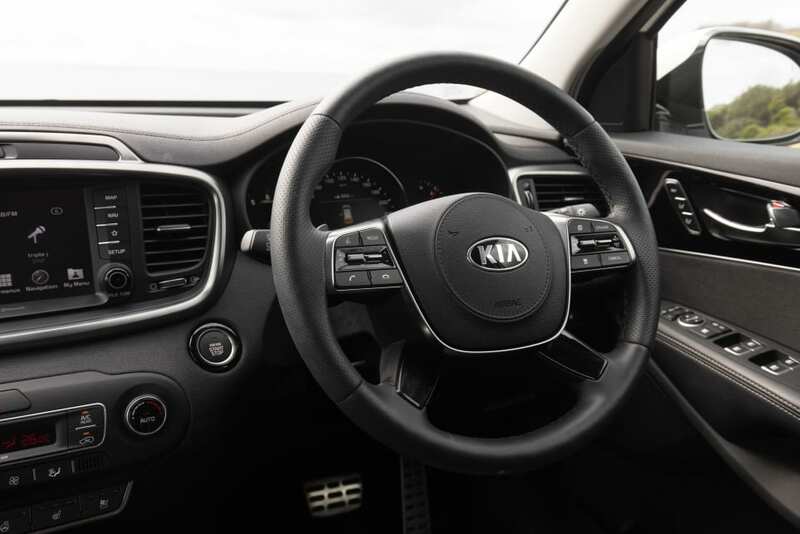 The Sorento GT-Line comes with Apple Carplay and Android Auto on an 8.0-inch touchscreen. Just plug in your phone and the main apps from your phone will come up like Spotify and Maps. It makes syncing phones a thing of the past and really is the way forward because you already know how to use it. There’s a digital radio and a 10 speaker sound system. The speakers are good and I can turn up my music, one of life’s simple pleasures while driving. I volunteered to drive a few of the children’s friends to playdates this week, so safety was an even bigger consideration than usual. We’ve already talked about how fab the 360 degree camera is for safety while parking (in the 'How does it drive?' section). It also comes with all those new safety features you would expect of a family car in 2018 including auto emergency braking, blind spot detection and lane departure warning, among others. It scores a maximum five ANCAP stars, and comes with three top tether points and two ISOFIX points in the middle row for children’s car seats. 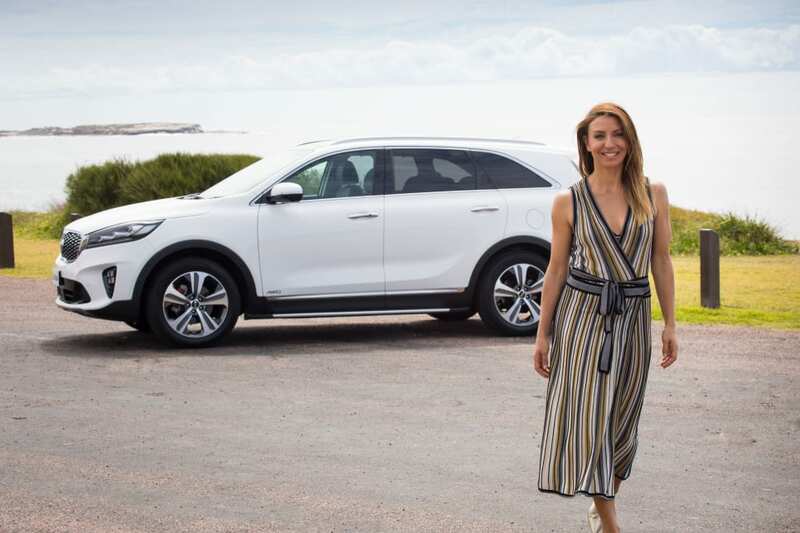 Because it’s a diesel you’ll save on fuel - a car this size uses 7.2 litres per 100km on the combined cycle (as claimed by Kia), which is pretty good. It comes in at $58,990 which is less than the top-of-the-range Pathfinder, Kluger and CX-9, and is similar to the Santa Fe. It comes with Kia’s seven year/unlimited km warranty with 12 month service intervals. 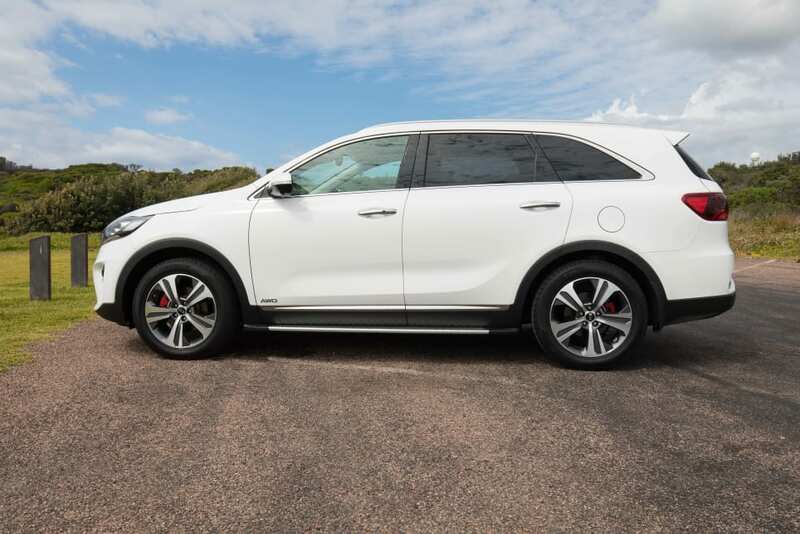 I found the Kia Sorento GT line a practical and comfortable car for my family of four. It had loads of space, was great to drive, and has a lower fuel consumption (if you don’t mind the noise from the diesel engine). 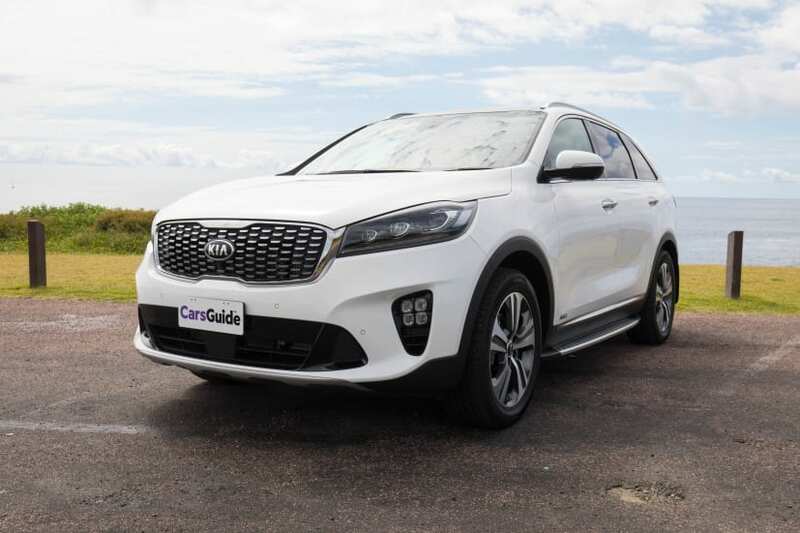 I gave it a family rating of eight out of 10 - we really loved experiencing the Sorento this week. My children also gave it eight out of 10, they adored that their friends could ride with us in the car. I've never been particularly interested in big cars for my family of four. Didn't see the need in all that metal, how wrong I was. I'd heard so much about the revered Mazda CX-9 before I drove it that I had some seriously high expectations.